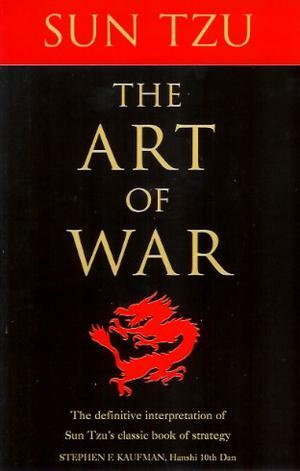 The Art of War is a Chinese military treatise written during the 6th century BC by Sun Tzu. Composed of 13 chapters, each of which is devoted to one aspect of warfare, it has long been praised as the definitive work on military strategies and tactics of its time. Translated by Lionel Giles. 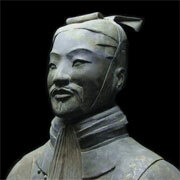 Sun Tzu considered war as a necessary evil that must be avoided whenever possible. It notes that "war is like fire; people who do not lay down their arms will die by their arms".The war should be fought swiftly to avoid economic losses: "No long war ever profited any country: 100 victories in 100 battles is simply ridiculous. Anyone who excels in defeating his enemies triumphs before his enemy's threat become real". According to the book, one must avoid massacres and atrocities because this can provoke resistance and possibly allow enemy to turn the war in his favor. For the victor, "the best policy is to capture the state intact; it should be destroyed only if no other options are available".Sun Tzu emphasized the importance of positioning in military strategy. The decision to position an army must be based on both objective conditions in the physical environment and the subjective beliefs of other, competitive actors in that environment. He thought that strategy was not planning in the sense of working through an established list, but rather that it requires quick and appropriate responses to changing conditions. Planning works in a controlled environment; but in a changing environment, competing plans collide, creating unexpected situations.